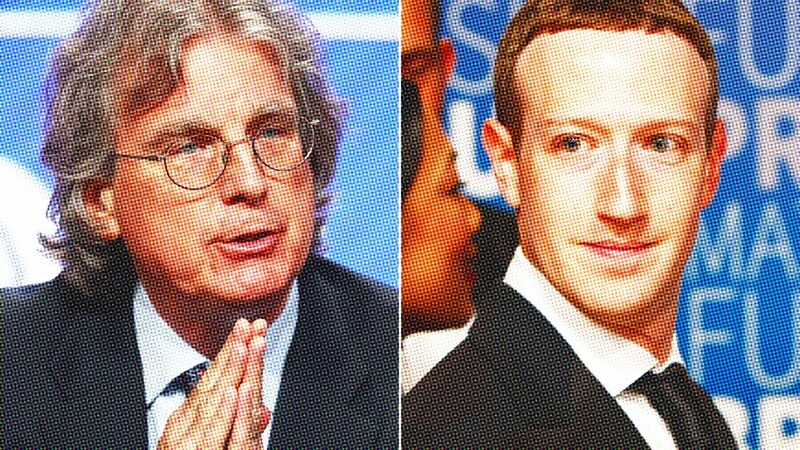 I can't stop reading my just-out-today hardcover copy of Roger McNamee's new book, 'Zucked: Waking up to the Facebook Catastrophe.' I pre-ordered 'Zucked' last week on my phone when I was out for coffee with my friend Mike Backes (buy his book! ), who was so enthralled with it he couldn't put his pre-release copy down, and he carried it with him that day. I stopped what I was doing when the Amazon delivery guy handed it to me a few hours ago. I'm a couple hundred pages in to 'Zucked' now. I get it. The book drops as Facebook is once again in headlines for privacy, ethics, and security lapses with catastrophic consequences on our world and our lives. Appearing with host Ali Velshi on MSNBC earlier today, McNamee was asked about those “changes” and “improvements” Facebook seems to be announcing just about every day now -- they're “largely cosmetic,” said McNamee, who cited the recent story about that research app that “spied on everyone, grabbed data off iphones,” and pointed out that Facebook was accused of “breaking in illegally around the app store” to pull it off. McNamee “mentored Mark Zuckerberg,” as a recent TIME cover story headline read. McNamee is a longtime technology investor and co-founder of Elevation Partners, and isn't suggesting that everyone unplug and run to the hills to off-grid Unabomber cabins. “We, the humans formerly known as users, have way more power than we realize,” said McNamee on MSNBC today. Roger will be on a book tour, and if you're as obsessed with Facebook's slow-motion implosion as I am, it's probably worth going. Dates below, and updated here. "The more frightening dystopia is the one no one warned you about, the one you wake up one morning to realize you’re living inside."